I knew that there is an ancient route through Sikkim used by porters and business men a long ago. I came across a number of sites which helped me to learn a lot about the Silk Route and I was so eager to know about the place. The Silk Route here in India used to connect Lhasa in Tibet via the Jelep La Pass to India. The trip along the Silk Route is really memorable. Extraordinary and fantastic are the two words I have that describes the tour. Our planning for more than 4months, combined with all the other effort led to a virtually stress free trip. Limtang is the entry point to the Silk Route and is one of the most isolated and foreboding areas you can imagine. Limtang located in a remote part of the East Sikkim in the heart of the mighty high Himalayas is one of the exotic destinations in India and it was really a offbeat travel. We visited the place in a group of 10 and we were modern day Marco Polos. We started our journey from Sealdah station, Kolkata. Darjeeling mail is the best train to North Bengal and the only train that covers the distance between Sealdah and NJP in 10 hours while the other trains take 12hours to drop you at your destination, NJP. Unfortunately the super fast train was late by 1hour and our driver who came to pick up us from the station was making calls to me every 15minutes. We reached NJP at 9am when we were supposed to reach there by 8am. We moved out of the station and spotted our “Sabari” car parked under a tree when the driver waved his hands towards us. We set off to our destination Limtang after I had taken our breakfast with us in the car because we had to reach Limtang as early as possible. We were passing through the Mahananda Wildlife Sanctuary along the Sevok Road, suddenly we heard a loud sound and our car skidded up to a distance of about 10 to 15 meter because the car was doing nearly 70km/hr on the metaled road. There was a technical failure and the bearing of the right side fore wheel turned in to a paste. The driver took help from a truck driver to somehow open the wheel set and take that to the NJP station for a re-make. When the accident happened, it was just 11am and the driver didn’t come back till 5pm in the evening and we had no other way but to wait for him because we were not able to communicate with the driver or the travel agency or any one because there was no network coverage in the area. We were left with no water but some dry foods. At last we took our decision to hire another car which was too tough to arrange because our destination was a remote hamlet in East Sikkim and no driver was ready to go there because it would take 5-6 more hours to reach Limtang. Somehow we managed a Scorpio and reached Limtang Resort, the only property in Limtang, at 12’o clock at night. Car failure was not the only harassment, we were stranded for 1 and half hours in a land slide too. We checked in the resort and were amazed by seeing the position of the rooms and we could imagine the view of the hills and gorge we would be able to see in the next morning. We had our dinner and tasted some fine wines of Sikkim which our resort manager had arranged for us on our demand. After the dinner all of us went to sleep but I tried to vent my imagination and see the night beauty sitting in the balcony. It was an amazing feeling, sitting lonely with no one around and recollecting some old memories. When I noticed that the cigarette was left with the filter only, I came into my room and laid my body in the bed. I woke up early in the morning with the noise made by the alarm and did nothing but removed the curtains to see the scenic view through the glass window. It was so beautiful that I ran to all doors and called for my friends. I told them to remove the curtains and came back to my balcony and one of my friends joined me. With cups of tea in our hands we had nothing to say to each other but to look at the peaks on one side and the little village in the valley on the other side. We had our breakfast and set off for Aritar lake, a few hours drive from Limtang. It was beautiful lake at such an altitude. 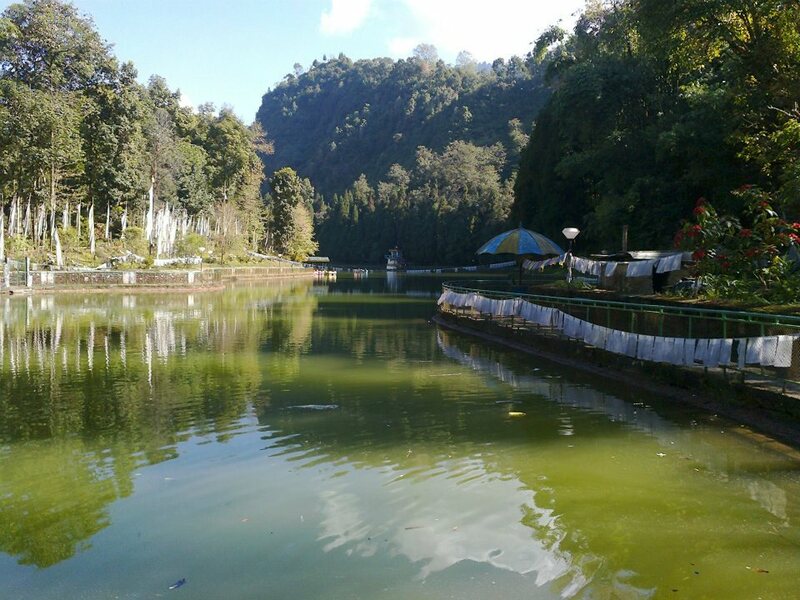 Boating is available in the lake and costs only Rs.80 per boat. We visited a Kali temple on the way to the Aritar lake. The road to the lake was fantastic and three of us including me climbed the roof top of the car and the journey became more thrilling and adventurous. The road took sharp turns every now and then and the feeling was just “wow”. We came back to our resort for lunch and spend the rest of the day in leisure and explored the village. We enjoyed our dinner around a camp fire arranged by the resort stuff. Next day, it was early in the morning we all were ready to set off for the much awaited Silk Route. Our breakfast was served on the table in the dining hall and the car was waiting outside. We took in the food as quickly as possible because we all were so much eager to pass along the Silk Route and we knew that we had a great day ahead. Thanks for sharing…:)Waiting for your next post on Silk Route. It’s look nice and attractive.I always keep in touch with your blog. Really interesting. It’s just a few hours drive from Limtang. Thanks for your comment…! Very instructive…it’s good if you post some more snaps of Silk Route. Great post, thanks for sharing, the blog layout is also excellent. 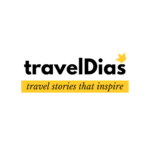 I am looking forward for a post that contains an estimated budgeting of tours across India. Some general info that everyone looks for. heavy hoyeche vai…ager tar theke eta valo. 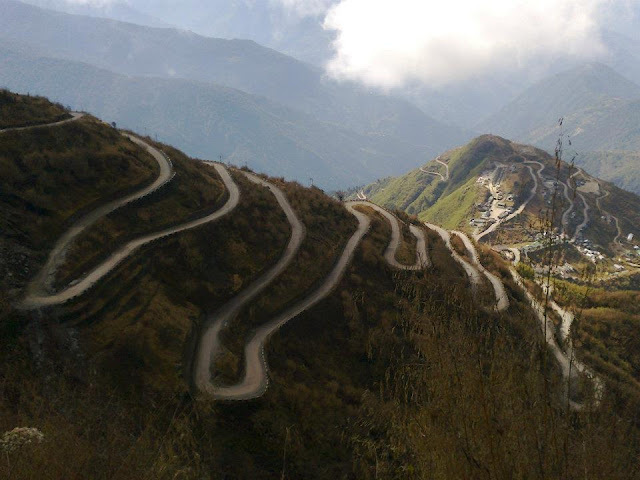 Bhulbhulaiya, I mean the zig-zag road gives you the best view of a mountainous road. Thanks Niladri for the visit. Hope you liked it.